Today, literally everyone uses smartphones in their lives. People can listen to music from worldwide at any time by smartphones without mp3 players. YouTube and SNS offers you live concert videos and recent news of your favorite singers real-time. The concept of possessing mp3 (sound source) files of certain songs has moved to the concept of using streaming service anywhere and anytime you want to listen to the music. Then, a concern might come to your mind. If you can listen to all the songs you want, you have to choose what to listen to every time you put on your beloved earphones. Many times I thought that it would be great to have a free music application that randomly plays good music. Recently, I found the best application for me and you guys having similar problems with me. 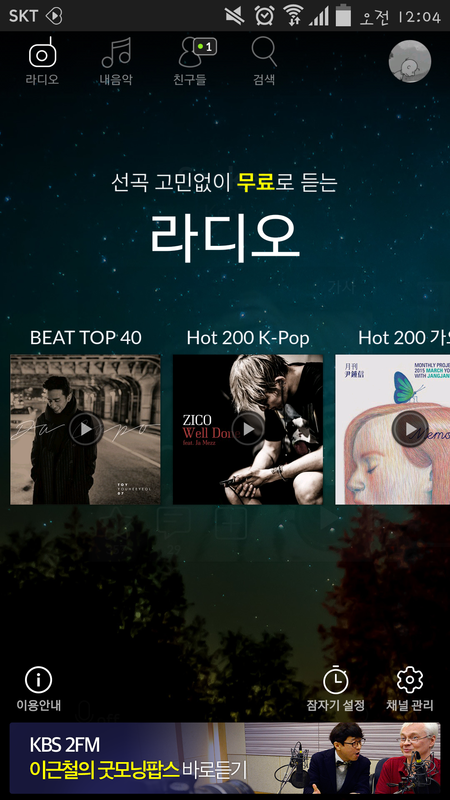 ‘BEAT’ is a streaming radio application where you can listen to various kinds of recommended music. In other words, it’s a music curating application that offers you the lists of nice songs filtered by genre, situation, and time. Some famous artists participate in music curating process so it’s an opportunity to find some great hidden songs. I often use this application when I need a random list of good music, particularly when commuting, doing tasks, or even posting this article right now this moment! Of course, like other music applications, you can enjoy the songs you want by using its search function. So, let’s talk about the detailed functions of ‘BEAT’. First, download ‘BEAT’ from the app store. 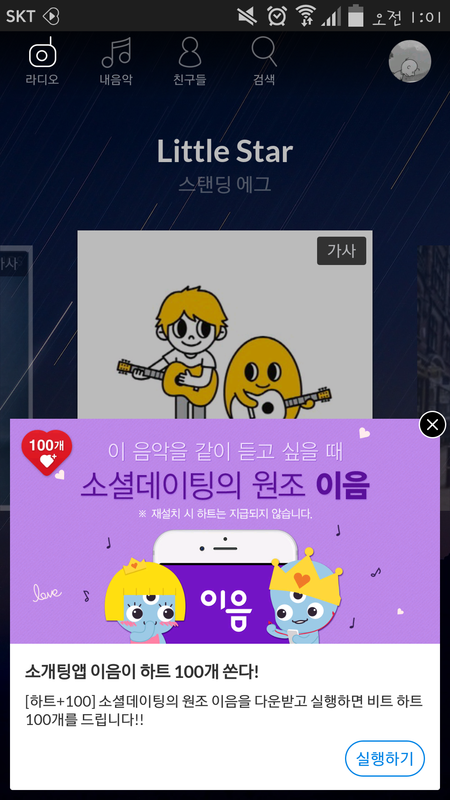 You can start ‘BEAT’ by Facebook, Kakaotalk, or email. The main screen of ‘BEAT’ can be separated into three parts. Basic functions such as radio, my music, my friends, and search tab are on the upper part. Like other music applications, you can make your playlists, share your music with other users, and search the songs you want to listen to. Plus, in ‘My Music’ tab, there’s a list of your ‘recently played’ music so you can easily find the songs you liked. The middle section shows the list of radio channels and the music you are currently playing. There are lots of radio channels including ‘Hot 200 K-Pop’, ‘2015 Grammy Awards’, ‘Unforgettable OST’, ‘Spring Songs’, ‘When you Concentrate’, and ‘Before you go to bed’, to name a few. For extra channels, go to the ‘channel management’ tab below, and you can add new channels to your channel list whenever you want to. The songs you listened to with ‘BEAT’ have ‘song information’. 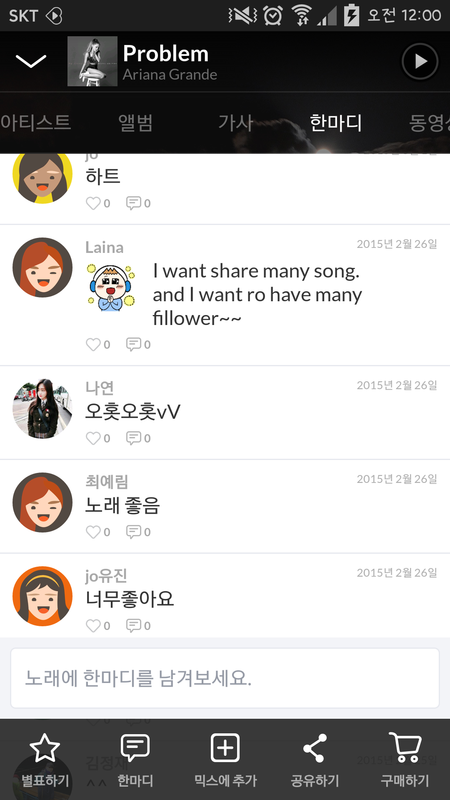 It shows all information about the song such as the musician’s other albums, related video clips, and other ‘BEAT’ users’ comments about the song. In addition, ‘BEAT’ has ‘Sleeping Setting’ function so you can set the playing time and the radio will automatically turn off while you are sleeping. Despite such advantages, ‘BEAT’ also has unavoidable drawbacks; advertisements and charged services. Every 90 minutes, you have to watch a short ad video clip. Free service of ‘BEAT’ can be offered thanks to these advertisements. Plus, if you want to play the music through searching, you need ‘Hearts’, a type of app money. You can collect ‘Hearts’ by inviting new friends to ‘BEAT’ or reviewing on the app store. These things will bother you a little but they’re reasonable costs to listen to quality music for free. It is awesome that we can listen to variety of wonderful songs wherever and whenever we want. However, sometimes we may feel overwhelmed by the number of songs that flood us in our daily lives. 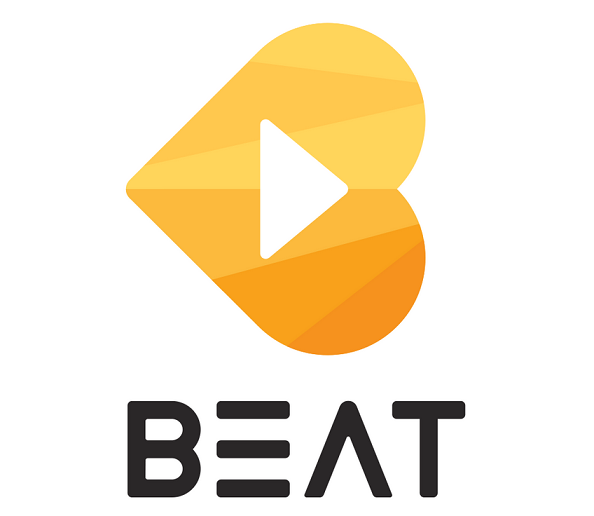 ‘BEAT’ is an excellent music curator that helps us to consume music by collecting quality songs and sharing them with countless music lovers.